Rebel Road Studios is a full service production company that specializes in both documentary filmmaking and branded entertainment. Trusted by world class brands, we pride ourselves on creating captivating cinematic content that engages audiences and moves them to action. At Rebel Road we go where the story takes us. That is why over the last three years we have produced films in over 60 cities across the globe. From concept to creation, we partner directly with media outlets, agencies and brands to deliver viral content that entertains and inspires. Over the years, our award winning team has created branded content for such clients as Lexus, Levi's, Dewars, Chevy, Fiat, Toyota, Covergirl, Milk, Cotton, & Jack Links to name a few. We look forward to bringing your wildest concepts to life. Peter Matkiwsky is an award winning filmmaker who has produced and directed branded entertainment since it's infancy in the digital space. After beginning his career producing sports television, Matkiwsky focused his attention to commercial efforts and fused his passion for documentary filmmaking with his understanding of marketing. As both a writer and director, Matkiwsky has created documentary and scripted narrative films that have spanned multiple genres and outlets. Peter created Rebel Road in 2015 as an opportunity to connect brands directly with fearless filmmakers, in an effort to deliver inspiring stories that engage audiences worldwide. His work has been seen on NBC, ABC, Sports Illustrated, Time, Wired, People, Fortune, Travel & Leisure, Food & Wine, Southern Living and Tennis Channel. Growing up just minutes away from Skywalker Ranch, Brooke discovered her love for film after viewing A New Hope as a child. That passion for storytelling led her to NYU where she studied cinema and soon after became immersed in the NY production scene. 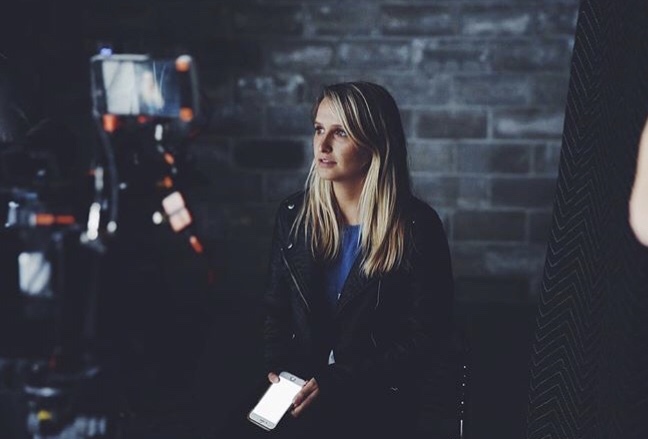 In 2015 Brooke joined Rebel Road and has produced everything from broadcast commercials to digital shorts for some of the world's top brands. Whether locking down major US highways, wrangling celebrities in Vegas for the fight of the century, or coordinating ridiculous stunts, there is nothing she can't do. Nick Midwig has been a director of photography for 10 years. His most recent project includes the documentary Beware the Slenderman, which premiered at SXSW and will air on HBO in fall 2016. Nick also filmed extensively for the documentary series Belief for the Oprah Winfrey Channel and the National Geographic series Mars. Nick acted as a cinematographer on the critically acclaimed documentary 12 O’Clock Boys about a notorious Baltimore street bike group that premiered at SXSW and HotDocs. He has also directed and filmed branded commercial content for clients such as the New York Times, Subaru, The Weather Channel, Red Cross, Nike, Hilton Hotels, Chrysler, Sony, and more. Josh Ethan Johnson is a masterful storyteller who's understanding of documentary and narrative filmmaking has allowed him to post produce digital media for some of the biggest outlets in the world. As a musician (Estate), Josh's understanding of music is apparent in every piece he touches. Whether it is overseeing documentaries, comedy, commercials, or music videos, Josh's style will always be sure to capture the essence of the story and move his audience. Josh's work has been seen on VICE, PBS, Time Inc., & Sony. Josh lives in NYC where he roams the streets and photographs interesting people and places. He was called "one of the best street photographers currently alive" by The Huffington Post and has created movie cover art for A24.